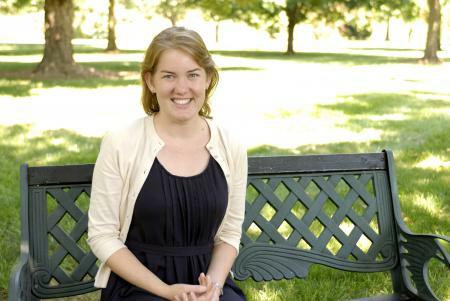 The University of Kentucky Department of Mathematics in the College of Arts and Sciences announces the appointment of Associate Professor Kate Ponto to the Wimberly and Betty Royster Research Professorship and Professor Richard Ehrenborg to the Ralph E. and Norma L. Edwards Research Professorship. The Royster and Edwards professorships serve to recognize the Department of Mathematics’ most active researchers and to support their research. Both positions are three-year terms and include a stipend to support salary or research expenses. Recommendations for the professorships are made by the mathematics faculty. Ponto studies the topological fixed point theory from the perspective of algebraic topology. She is particularly interested in the connections between fixed point theory and category theory. Well-known for her work, Ponto has been invited to numerous conferences and workshops at locations including Johns Hopkins University, Derivateurs à Barcelone, University of Virginia and the University of Illinois at Urbana-Champaign. She has been awarded fellowships and grants from the National Science Foundation, Simons Foundation and Lucent Technologies. Ponto graduated with a bachelor’s degree in mathematics from the University of Notre Dame and earned her master’s and doctoral degrees in mathematics from the University of Chicago. She joined the UK faculty in 2010. During her time at UK, Ponto has been active in teaching courses in topology, matrix algebra, number theory and calculus, and has published numerous papers. Ehrenborg studies algebraic combinatorics, including interactions with enumerations, geometry, topology, invariant theory, game theory and combinatorial interactions with functional analysis. He has written numerous articles in these areas, including in material science. Ehrenborg participated in three International Mathematics Olympics before earning his bachelor’s degree in mathematics from the University of Stockholm, Sweden, and obtained his doctoral degree from the Massachusetts Institute of Technology. He joined the UK faculty in 2000, was the first Royster Research Professor and is co-founder of the film series Math Movie of the Month. Before his time at UK, Ehrenborg held a joint post-doctoral position at LaCIM at University of Quebec at Montreal, and CRM at University of Montreal, was an H. C. Wang Assistant Professor at Cornell University, and a senior lecturer at the Royal Institute of Technology-Sweden. His research has been supported by grants from the National Science Foundation and the National Security Agency. He has twice been a member at the Institute for Advanced Study in Princeton, New Jersey, and a visiting scholar in applied mathematics at the Massachusetts Institute of Technology. Most recently, he was a research scholar at Princeton University and also spent a summer at AT&T Bell Laboratories. 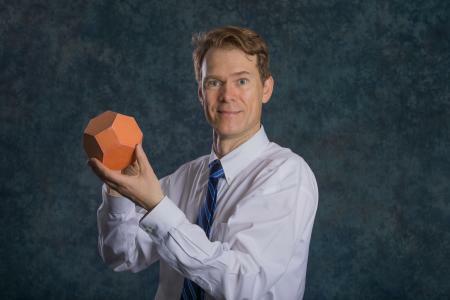 Ehrenborg’s interests also include the mathematics of juggling.